It's easy to talk about cutting the size of government in Alaska. That's why everybody does it. It's smooth sailing until you get into the details. If we want to make substantial cuts in the size of government, education has to be reduced because that's where so much of the money is. But many Alaskans don't want cuts to public schools and the University of Alaska. After Anchorage Democratic Rep. Les Gara wrote that Eagle River Republican Rep. Dan Saddler wants cuts in education spending, Saddler said it just ain't so. "Gara repeats the tired lie that Republicans want to cut education," Saddler wrote. When Republicans talk about cutting formula programs, they are talking about cutting Medicaid and schools, among other things. Saddler says he just wants to "hold the line" on school spending. Holding the line won't cut the size of government, as Wasilla Republican Sen. Mike Dunleavy knows. He recently told the Alaska Public Radio Network that education and Medicaid have to be cut, but people are far too hung up on details of what to cut. He wants to cut a half-billion from all state programs over the next couple of years and pay out the Permanent Fund dividend money that was vetoed. With numbers of that size, it should be easy for Dunleavy to say about how many schools we need to close and how many teachers need to be laid off. As far as getting hung up on details, a lot of people connected to the University of Alaska are bothered by the proposal to eliminate the cross-country ski programs at the University of Alaska Anchorage and the University of Alaska Fairbanks. It's easy to understand. Eradicating these programs is the wrong thing to do. The benefits outweigh the costs and the sport is a natural fit for Alaska, one that has attracted many top students from Alaska high schools. The skiers are good students and their discipline is an example worthy of emulation. 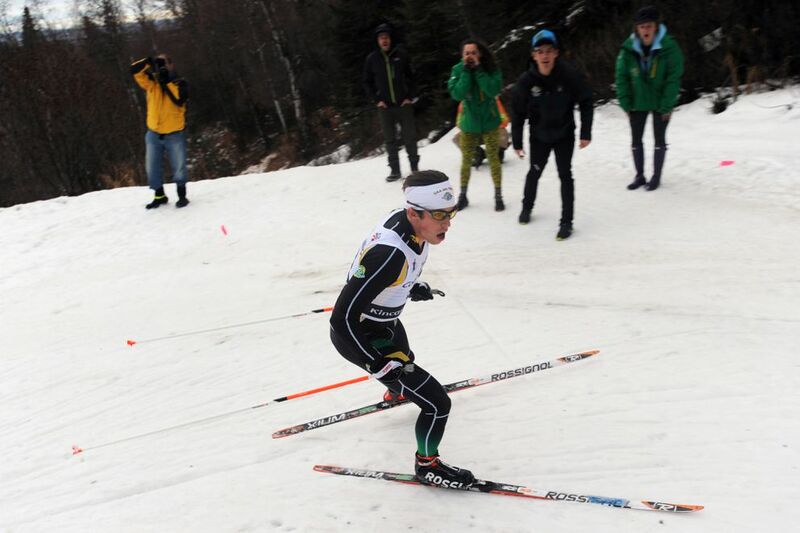 In both Anchorage and Fairbanks, the cross-country ski teams have an importance that extends far beyond the campus boundaries, with long histories as community institutions. Generations of UA skiers have served as role models for younger people. The university should be able to afford cross-country collegiate teams in Fairbanks and Anchorage. The cost is $1 million, which is about what the state spends every three hours from its savings. But looking at this in isolation, as simply a question of whether individual sports programs should survive, prevents us from seeing the overall situation. It's like this: The budget approved by the Legislature and signed by the governor, after vetoes, has put UA President Jim Johnsen in a position where cuts are mandatory. Somehow, the end results are disconnected from the actions and positions taken by legislators and the governor. Without that connection, the talk about taxes and the preferred size of government is more fantasy than reality. In the last two years, the state appropriation to the university has been cut by $50 million. The next fiscal year may bring an additional cut of $16 million to $32 million. More than 900 positions have been eliminated and 30 degree or certificate programs have been stopped. The politicians say "Don't blame us," as they are not the ones proposing to eliminate sports teams and end academic programs. The oft-expressed view by Fairbanks Sen. Pete Kelly is that the Legislature is like a board of directors. This means that legislators are insulated from the fray, delegating others to do the dirty work. I understand that desire by legislators, but it's never going to be that way and it shouldn't. We need a broader discussion about the untenable position the university has been placed in because of the oil revenue collapse and the failure of the Alaska Legislature to deal with it. So far we have elected officials and candidates in both parties who have memorized worthless talking points about right-sized government, taxes, the Permanent Fund dividend and how much everyone loves education. My solution? Cap the Permanent Fund dividend, institute taxes, raise oil taxes, and put services on a sustainable level based on a reasonable mixture of revenues, following the practice in 49 other states. Instead, we've opted to keep spending $3 billion a year from savings, steadily losing the earning power of investments that will never be replaced, while creating more economic risk for Alaska. That's not a solution, it's a train wreck.